I’m betting you’ve heard of a resume and how important they are for jobs. 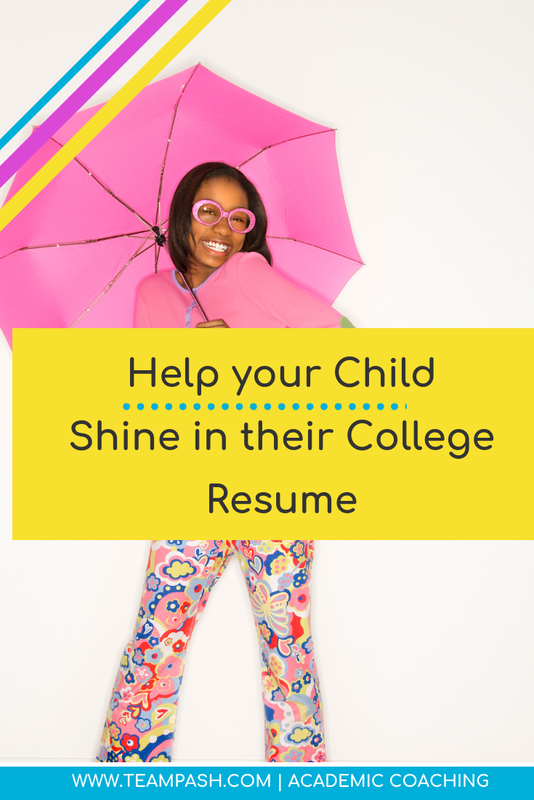 But have you thought about the importance of building a resume to apply for college? What if you are seeking a job after high school? 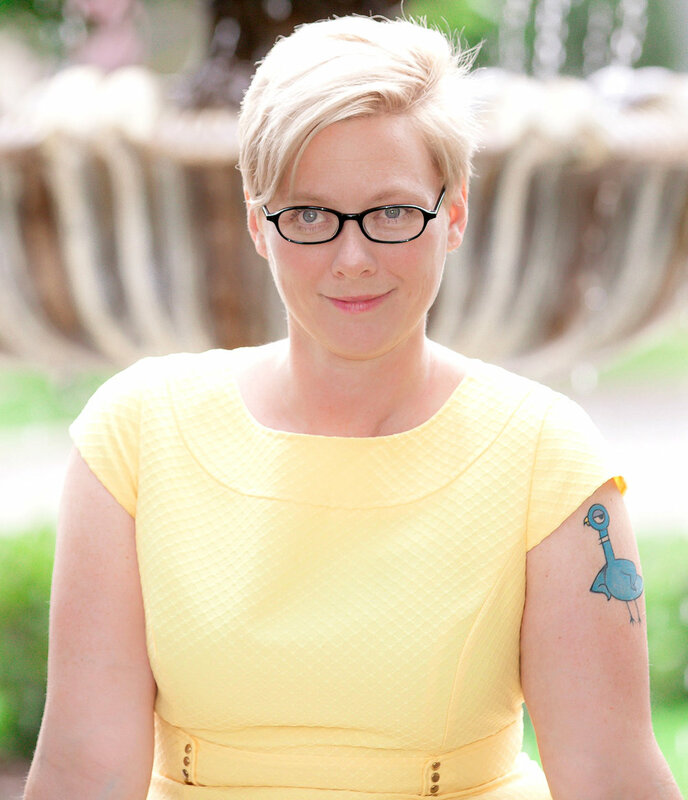 How are you going to represent yourself and all the awesome-ness you represent? Whatever path you choose – a job after high school, or going to college – you’ll need something that represents who you are, something that tells more than just an academic story. Think of this document as your brand. 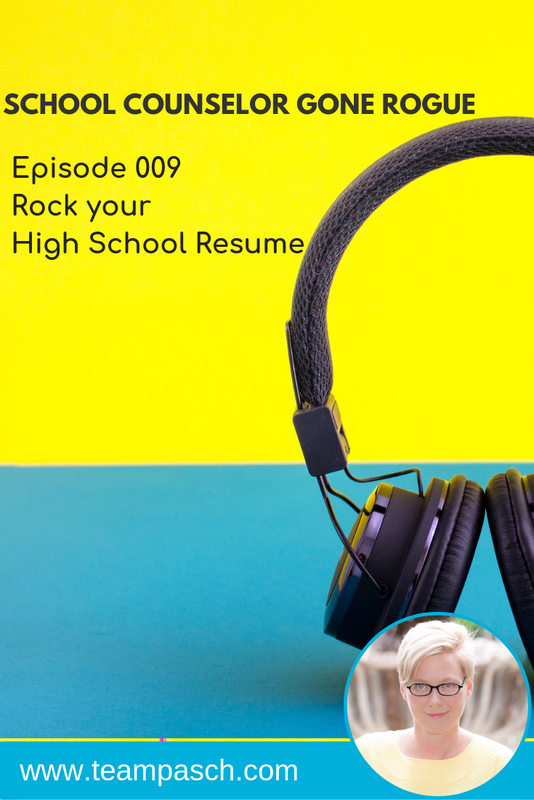 This week on School Counselor Gone Rogue a podcast with Marni Pasch, former school counselor turned academic coach, we are chatting how to build your resume in a way that represents you! When should you Start Thinking about your Resume? Start thinking about it in eighth grade. Yeah, that may sound early, but your brand is who you are, and that can begin to develop as you enter eighth and ninth grade. Whether you’re applying to UCF, to Harvard, going into the military or the workforce, you’ll have to show someone else who you are and what you have to offer, as they bring you into their business or school. What goes into this Personal Brand or Resume? 1. Set a timer for three minutes.Write down everything that you love. There are no boundaries for this list. Don’t overthink it. Just write it down if you love it. 2. Circle those things that are most appealing. 3. Set a timer and think about where you can apply those skills. Write those ideas down. If you like computers, for example, think about this: is there a non-profit that needs help with a webpage? If you like to fix computers, are there organizations that can use refurbished computers? If you like to be outside, are there gardens or churches that could use help with their landscaping or other projects? If you’re entrepreneurial and like to grow things, could you incorporate your love of gardening into babysitting, maybe teach kids how you don’t kill plants? Take what you love and see where you could put your volunteer skills to use, maybe even get hired. If you’re more introverted, you can look at Volunteermatch.org. There are tons of opportunities there for kids. There are in-person and virtual opportunities. Do activities that are based on what you love. When you love what you do, every day is joy, and it becomes a passion. That’s the kind of thing that shapes a resume, and builds a personal brand. If you’re a senior and you need to gather letters of recommendation, the college resume makes things easier. If you can give your teachers or counselors this document that gives them an idea of who you are, it makes writing these letters so much easier. Teachers and counselors may know you well in the classroom, but they may not know all of your interests and accomplishments. This kind of document provides an easy reference point and shows a clearer picture of who you are. If you’re not going to college, you’ll still need recommendations for jobs. Teachers may be willing to write letters of recommendation to help you there. Give this document to school counselors and teachers ahead of college deadlines, probably a month before. You can give this document to potential employers and other people you may need to ask for referrals. As you build this document, you’ll gather life experience, and that will help you to succeed in college, in the military, in a job, in whatever you decide to do. It can be overwhelming to recall all of the awesome things you have accomplished or want to accomplish! 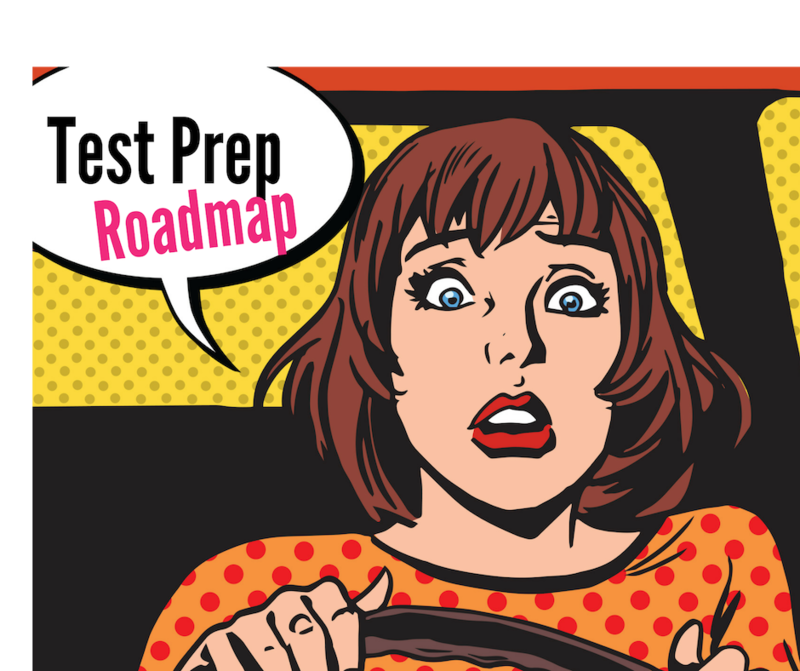 That’s why I have created a cheat sheet to help you get started. · Think outside the box to use your passions to help you find jobs, get into schools, and more. · Build your resume early. When to start looking at extracuricular activities that colleges and jobs will appreciate.